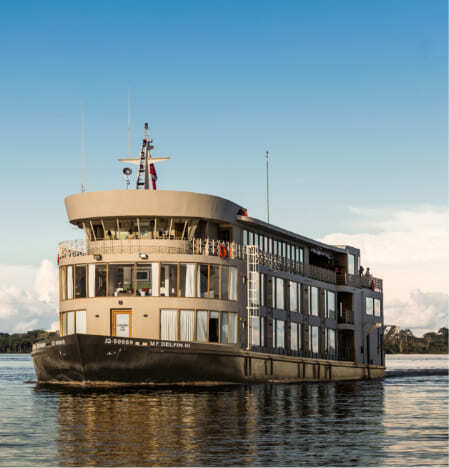 An Amazon vacation is a once in a lifetime experience, especially when traveling aboard our luxurious cruises. 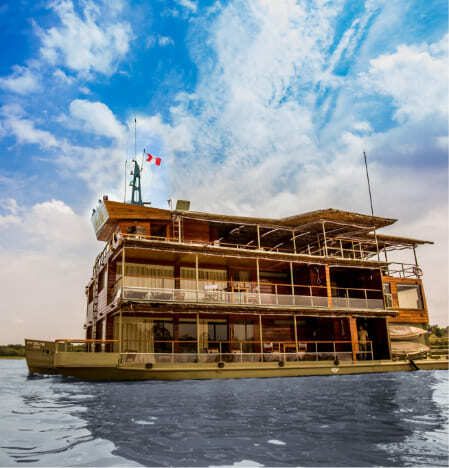 As the first Relais & Chateaux cruise in the world, we’ve created an Amazon vacation that balances luxury with engaging activities both on and off board. 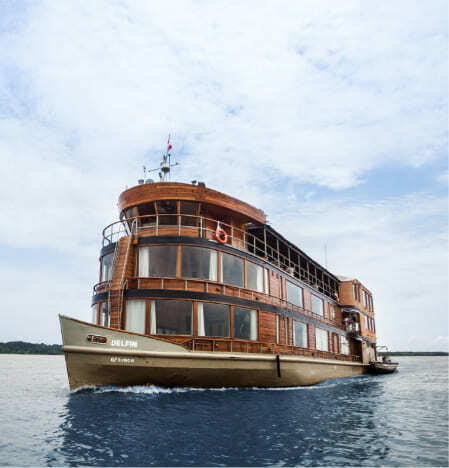 With Delfin Amazon Cruises as your host, each moment of your Amazon vacation will be an opportunity for adventure. Explore the rainforest landscape on foot during your Amazon vacation with canopy walks and discreet trails maintained by locals. 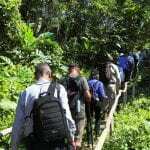 As our experienced guides lead you through the Pacaya Samiria National Reserve, encompassing over 7,500 mi² (20,000 km²) of the Upper Peruvian Amazon rainforest landscape, you’ll brush past lush native flora and camouflaged fauna. For an incomparably unique perspective of the jungle during your Amazon vacation, stroll across our canopy walkway hanging 85 feet (25 meters) above solid ground. Stretching over 1580 ft long (500 meters), it is one of the longest canopy walks in the world and a prime chance to properly give salutations to winged creatures and playful primates who live at such altitudes. Begin mornings on your Amazon vacation with birdwatching at sunrise. 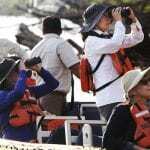 With binoculars in hand, our nature guides will lead a small fleet of skiffs to point out a variety of birds that frequent the shores of the rainforest landscape and that can only be seen during an Amazon vacation. In the early afternoon, as temperatures rise, activities can include options to kayak, paddleboard, fish for piranhas and even swim in the refreshing waters of the Amazon. Don’t be surprised if the pink dolphins decide to join in the fun and splash nearby! From the safety of our skiffs, guests will have the chance to spot caimans lurking along the banks of the rainforest landscape by night. Conscientious towards the well-being of local wildlife, our experienced guides are determined that you see as much local fauna on your Amazon vacation as possible. 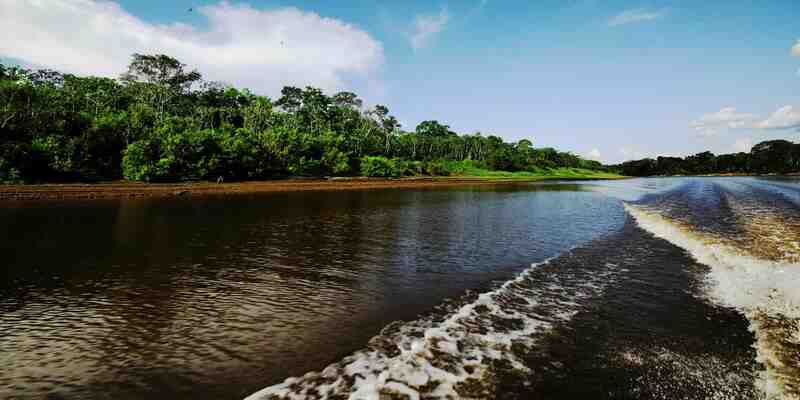 During your Amazon vacation, we’ll give you the chance to explore the Amazon in a variety of sensory experiences. Demonstrations in the upstairs lounge area will give you the chance to touch and taste the uniquely textured and downright bizarre looking fruits local to this rainforest landscape. Gastronomy classes will be introductions to the history and preparation techniques of local dishes, such as juane, a practical chicken and rice dish that’s steamed in banana leaves. Keep the spirit of an Amazon vacation alive and well when you learn to make a Pisco Sour, Peru’s iconic cocktail, with an Amazonian twist. Our skilled bartenders will teach you how to properly portion the ingredients so that when you return home from your Amazon vacation you can delight friends and family with a newfound talent. 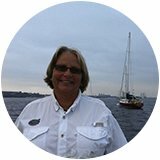 What makes an Amazon vacation distinct is the location, which is why we’re committed to incorporating elements of the rainforest landscape onboard each cruise. Crafts from local artisans appear in private cabins and common areas, demonstrating their skill in utilizing natural materials found in the rainforest landscape and the importance we place on sustainable practices. 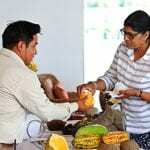 Guests will have multiple opportunities to buy goods from locals during their Amazon vacation with Delfin, such as on the canopy walk outings and other jungle excursions. As well, there are countless moments on the boat to learn about local cultures, such as visits from respected shamans and, not to mention, all of our staff who are locals to the Peruvian Amazon. 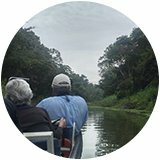 We feel a strong connection with the rainforest landscape and its people, and want you to feel just the same during your Amazon vacation.